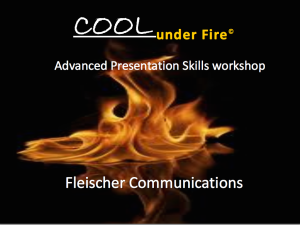 COOL UNDER FIRE© WORKSHOPS: Private & Corporate seminars. Learn powerful strategies for winning hearts and budgets during Q&A, panels, or media interviews. Using Improv Comedy techniques and Neuroscience insights, you’ll walk out of this Masters Class with less fear of public speaking and more influence. PRIVATE SPEECH COACHING: Some of us prefer discrete, private speech counsel—hired by the HOUR or retainer. You’ve learned to be an expert. Now learn Executive Presence and the Art of Influence. Master the architecture of a great anecdote. 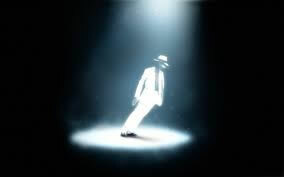 Break the grip of Performance Anxiety, become more agile on your feet-- less thrown by power or jerks. COMMUNICATIONS CONSULTANCY: Fleischer Communications is also is a full service agency: Corporate, Marketing Communications and Executive Communications. We offer strategic counsel--for campaigns or crisis communications. Principal Marianne Fleischer is also a Writer-Producer consultant in video, corporate events and print. Principal, Marianne Fleischer has walked the talk. Once as a newscaster, a tornado hit and she had to ad lib on the air for two hours. industries. A Back East theater and San Francisco Improv comedy background infuse her work.